The Super Tool 300 is ready for the toughest jobs you can throw at it, there's no excuse to put off the manual work around the house any longer! As one of the most well thought out and concise designs, it won't leave you short - the large pliers are the strongest ever and each tool is removable, so you can sharpen them whenever you need to using the built in file. There's nothing this multi-tool can't do, so what are you waiting for? Black oxide is a powder-based metal coating. Ideal for situations where giving away a position would be costly, it is widely used by the military for its effectiveness in reducing glare and reflection. It will therefore by design exhibit a natural patina and worn appearance. Orders received by 2pm during weekdays will usually be dispatched the same day, orders received from 2pm onwards the following working day. Orders with personalised laser engraving do not impact on these same day dispatch timings. We are so confident that you will be delighted with the quality of the engraving that if for any reason you are not completely satisfied we still offer our no quibble returns service. Special Delivery - Excluding Sundays (£6.99): Next Day before 1pm. Should you not be present for a signed delivery Royal Mail will leave a form to arrange redelivery or pick up at your local depot. International orders will be dispatched using BPost International Tracked. Please note larger orders outside of the EU may be subject to import taxes. Once you have selected your delivery country in the basket you will be given a delivery window and local UK tax will be subtracted from your total. You can return any products purchased from us - including personalised products -for a no quibble refund using our free returns service within 60 days of receiving the item. Returns from outside the UK will need to pay return postage. Multi-tool-store has in house, state-of-the-art laser engraving machinery, operated by skilled and experienced staff to ensure that your product is engraved with a perfect, striking and everlasting finish. To order engraving please check the box “Personalised Laser Engraving’. For logos, corporate orders or special requests please call 0844 5678 365. 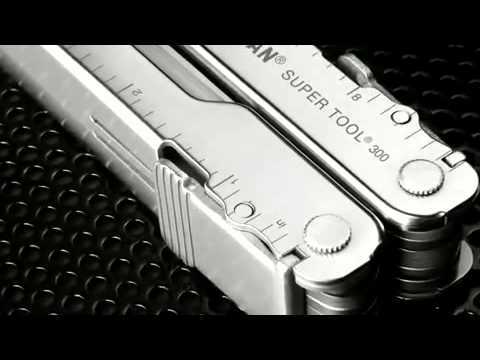 The Leatherman Super Tool 300 Multi Tool (Black) is supplied with a 25 year warranty. © 2019 Outdoor365 Ltd. A Leatherman Independent Authorised Retailer. The Trade Mark 'Leatherman' is used under licence.